New high-dynamic range, noise-rejection microphone designed for ‘problem-solving’ in challenging recording environments. London Colney, UK – Lauten Audio has chosen the Winter NAMM Show 2019 to announce two new microphones, the LS-308 off-axis rejection microphone, and the LS-108, a handheld vocal condenser mic. Along with the recently announced LS-208 front-address microphone, the LS-308 and LS-108 form part of Lauten’s newest “Synergy Series” line, offering recording engineers a selection of tough and durable microphones with extremely high dynamic range. Both the LS-308 and LS-108 are scheduled for release later in 2019. The LS-308 is a large-diaphragm condenser with an extreme level of noise rejection. Designed for recording instruments and voice in situations where separation is difficult to obtain, the LS-308 solves the problem of achieving isolation in the most challenging of recording environments. With 270 degrees of side and rear off-axis rejection, ambient noise from other nearby sources is reduced by up to 25dB. This level of rejection is both unusual and highly impressive for a large-diaphragm condenser, and is a result of Lauten Audio’s unique design, which utilises a dual, large-diaphragm, pressure-gradient transducer element. Combined with the microphone’s specially designed circuitry, the LS-308 perfectly handles multi-person, close-proximity vocal dialogue in noisy broadcast environments, rejecting sound from crowd noise and other instruments in live, studio or sound reinforcement environments. The LS-208 and LS-308 share several internal features. Both can handle sound pressure levels of 135dB without the need for internal or external pre-attenuation, and in turn have the ability to capture an ultra-wide dynamic range. Highly unique for microphones of this type, both microphones are capable of capturing the full human audio perception of 120db of dynamic range, with many microphones limited to 85dB after compensating for self-noise. This ability gives engineers the option to capture brilliant recordings of highly dynamic instruments in a wide variety of environments, and is especially useful for recording horns, drums, percussion and guitar amps. Like the LS-208, the new LS-308 features independent, multi-stage, high and low-cut filters to help engineers balance recordings at the source, and reducing the need for additional processing during mixing. The 2-stage low-cut (50 and 120Hz) filters reduce low-end rumble and proximity effect in voice applications, whilst the 2-stage high-cut (8 & 10kHz) filters help tame bright instruments and high frequencies. Both microphones also feature internally shock-mounted condenser elements, to help reduce mechanical shock and vibrations. The LS-308 requires 48V phantom power for operation and features a JFET transistor circuit with a transformer-based balanced output, with a second-order cardioid polar pattern. 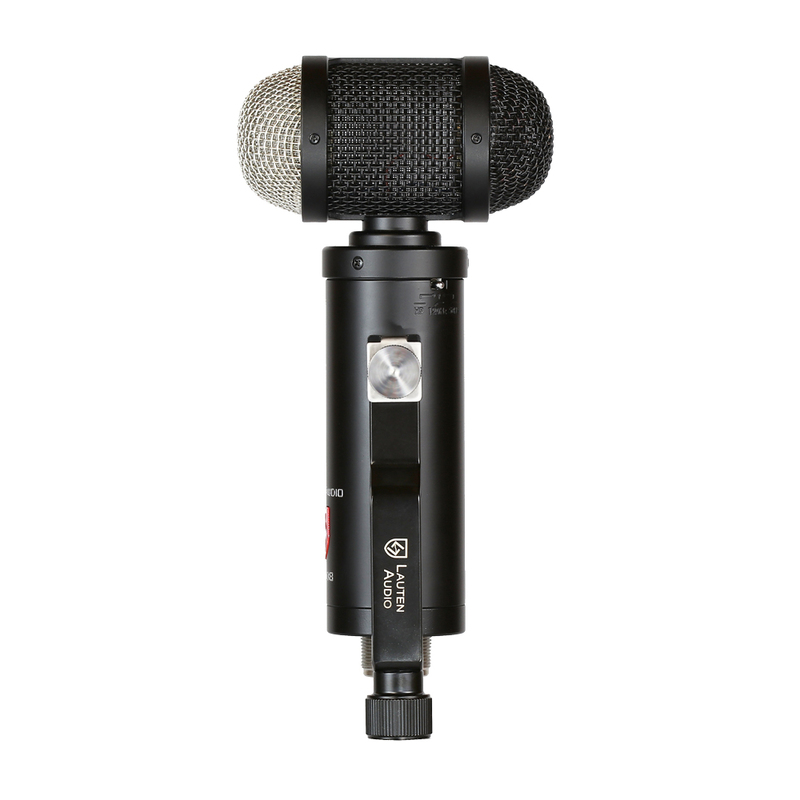 The microphone is constructed from high-quality components similar to those found in studio condenser mics, yet is built and packaged to withstand the rigours of broadcast and touring. 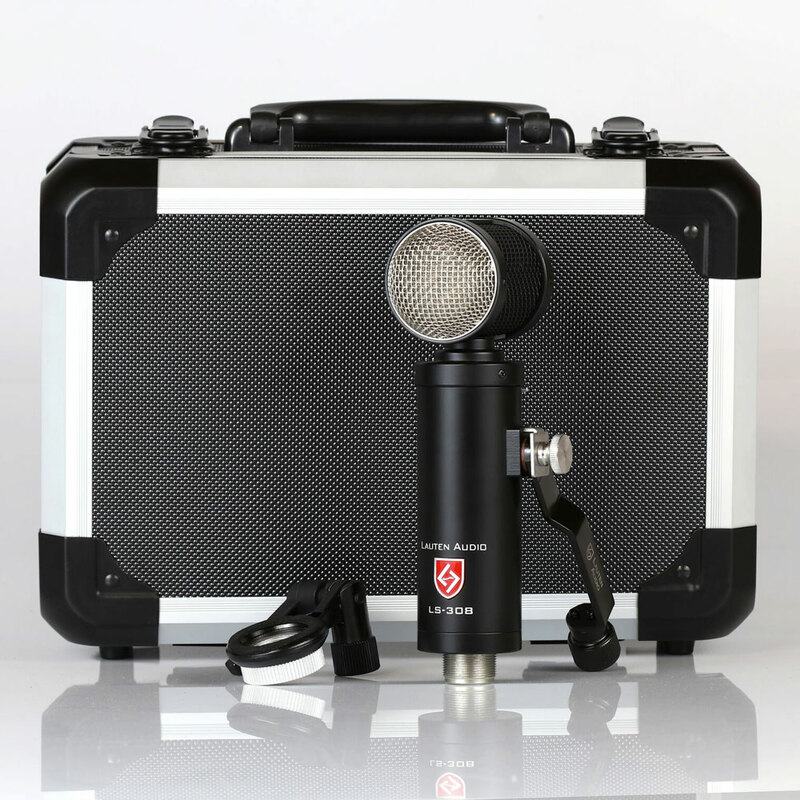 A set of purpose-built accessories are also included – a detachable side mounted arm with 135 degrees of movement; a threaded hard mount with an adjustable elbow; an extra-large windscreen that covers the entire head; and a hard storage and transportation case to house and protect the mic and all accessories.